ADEACA Project Business Automation™ (PBA) brings leaders of project-driven companies the real-time insight they need to transform their companies into high-performing enterprises in their industry. 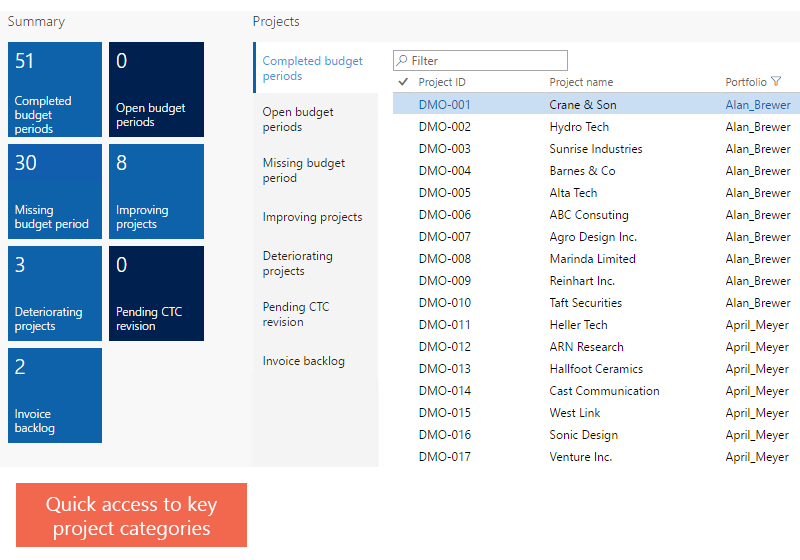 ADEACA PBA™ Project Insight is built on Microsoft Dynamics 365 for Finance and Operations, giving you an enterprise ERP tailored for project-based companies out of the box. Eliminate standalone project and portfolio intelligence applications and the overhead needed to manage them. For project-driven enterprises, the single most important objective is the successful and profitable delivery of contract delivery commitments. This requires close management of a wide range of KPIs across business regions and project portfolios and demands a high degree of visibility into real-time status at any level within the reporting hierarchy. 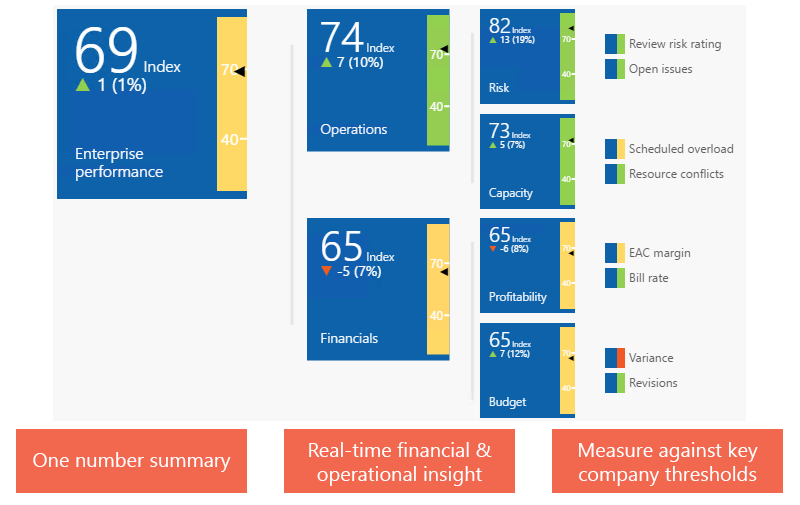 To generate meaningful project analytics, you need to incorporate operational as well as financial performance indicators. Unlike most mainstream ERP solutions, ADEACA PBA lets you manage project financials as well as project operations within a single solution thereby providing truly holistic project intelligence in real time. 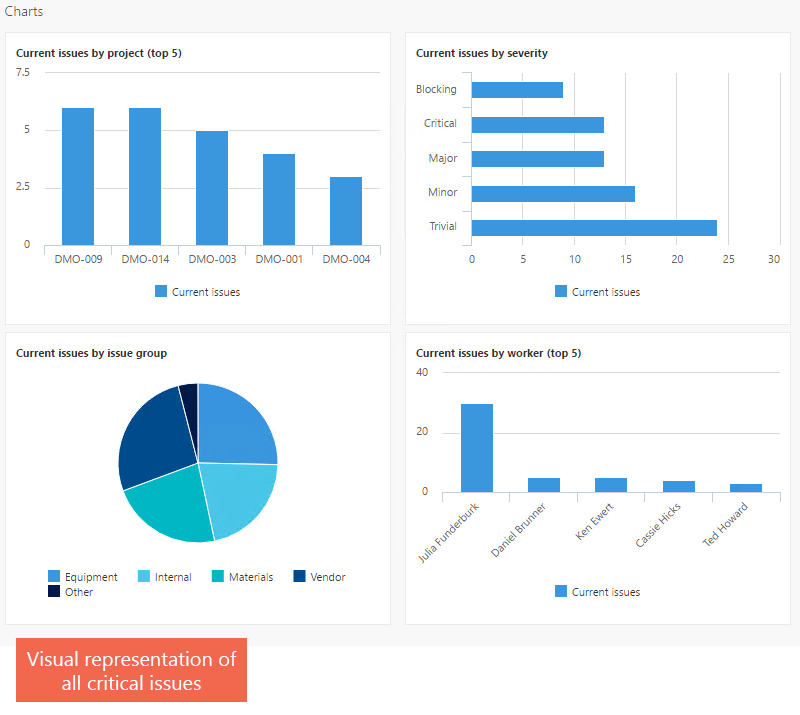 The built-in reporting hierarchies allow you to easily identify potential problem areas at enterprise or portfolio level and subsequently drill down into projects and planning structures to identify root causes. All metrics originate from a single integrated solution, are governed by enforceable best practices and backed by full audit trail resulting in reliable and actionable KPIs. In the world of projects, it is not what you know but when you know it. What the senior management needs, but rarely has, is a way to easily and instantly recognize changing conditions. Slight but accelerating budget overruns, minor but multiplying issues, or early erosion of scheduled slack are but a few of many common incidences within the life cycle of a project, and all are challenges that can be resolved by timely detection and intervention. 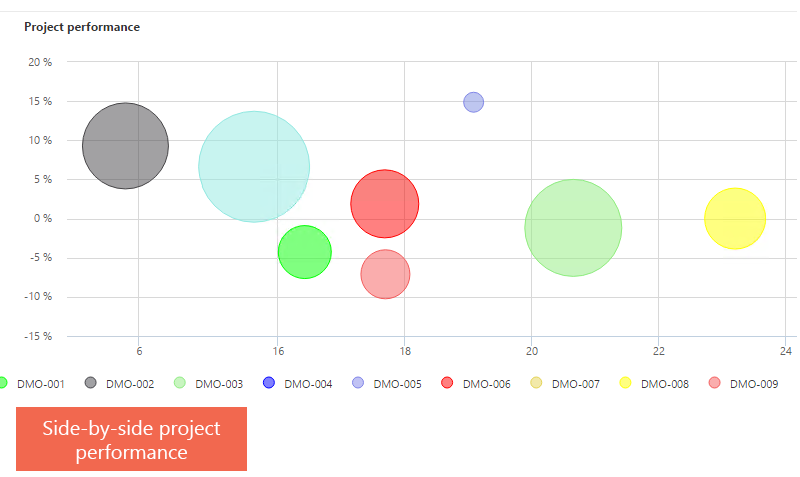 ADEACA PBA™ does all the data mining for you and ensures warning signs are flagged immediately and well before they deteriorate and significantly impact project performance. The ADEACA PBA Enterprise Performance Index™ (EPI) rolls up KPIs into a hierarchical index so you can always tell how your company is doing with just one number. Raw KPIs are normalized into index values and evaluated against company goals or industry standards. You can use this insight to set goals for company divisions and track progress against those goals. Color codes make it easy to identify performance variances. Trend indicators illustrate improving or deteriorating indexes by analyzing your performance over time. Drill down to portfolio and portfolio group levels. With more than 50 predefined project KPIs, ADEACA PBA provides a real-time holistic overview of project financial and operational processes. 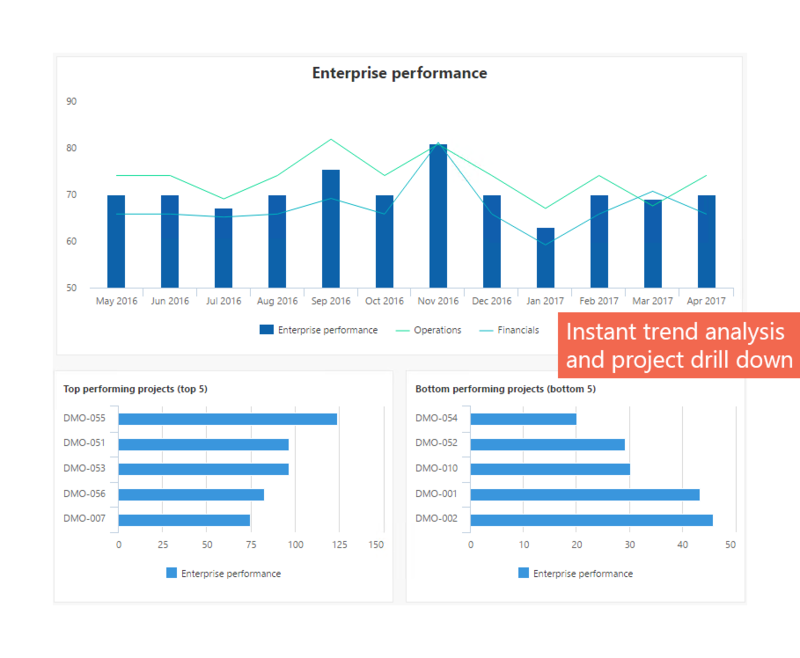 Based on user-defined reporting hierarchies, portfolio analytics provide an overview of project and portfolio performance with drill-down capabilities from portfolio groups and portfolios to projects and into planning structures (CBS & WBS). 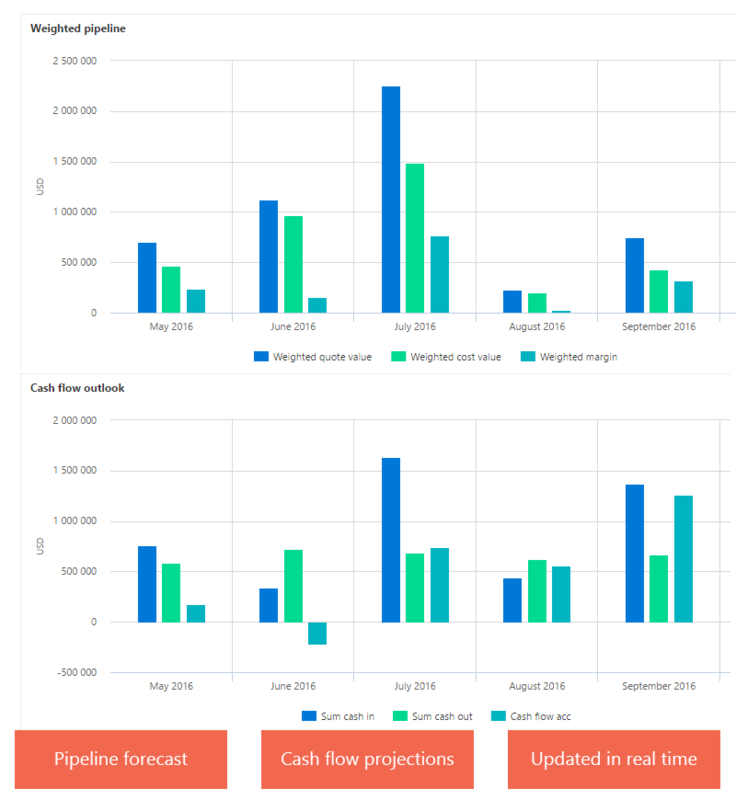 Project KPIs are seamlessly consolidated in a range of project business dashboards including graphical representations of core metrics via traffic light sensor points, bubble charts and other graphic controls. ADEACA PBA's Sensor Points™ are used across financial and operational disciplines to automatically monitor project events, flagging deviations and trends. 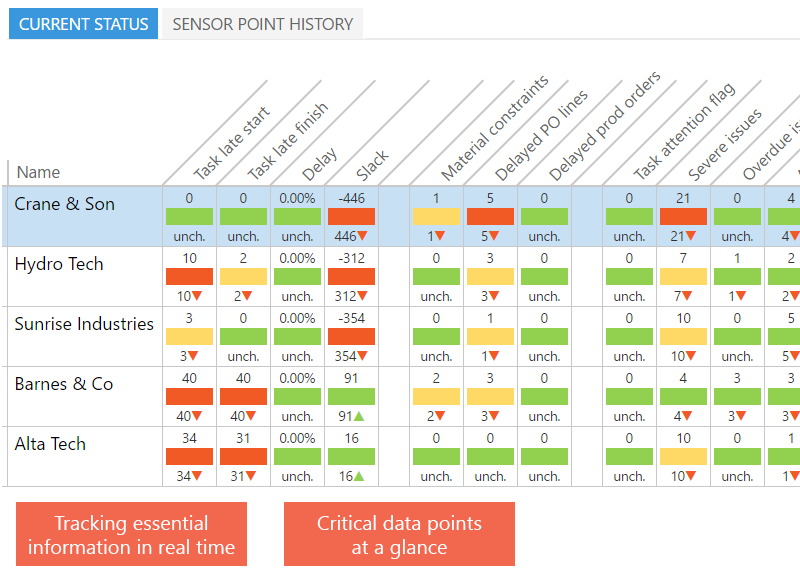 The sensor point system provides a real-time in-depth view of potential problem areas without having to manually data mine the project. 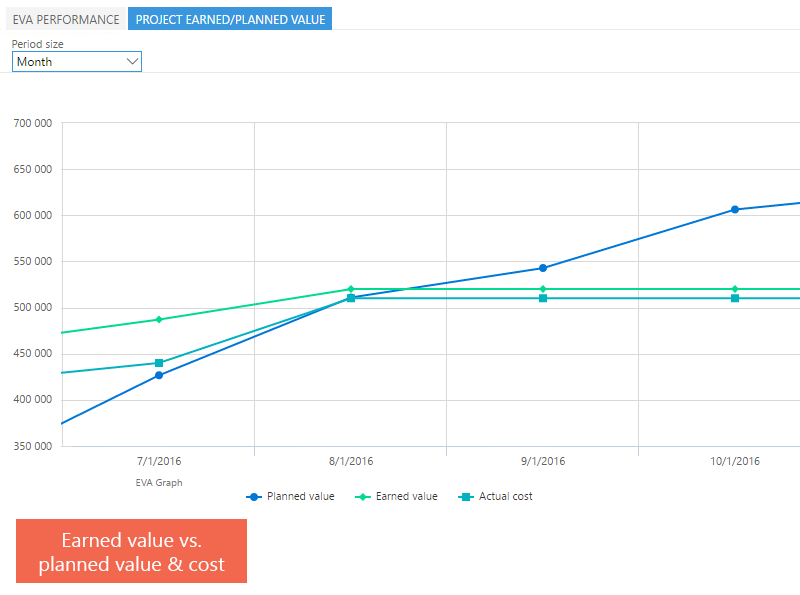 Based on recorded progress indicators, actual costs and planned execution of a project, the earned value analytics framework computes schedule and cost performance indexes by deducting the delta between planned value, earned value and actual costs. EVA is computed against the cost breakdown structure with performance indexes calculated at every level. Workspaces are designed to support the execution of specific tasks, for instance, month-end close, managing scope changes, or following up on project schedules. For ease of use and navigation, a workspace features a reduced menu structure and dataset pertinent to the workspace focus. 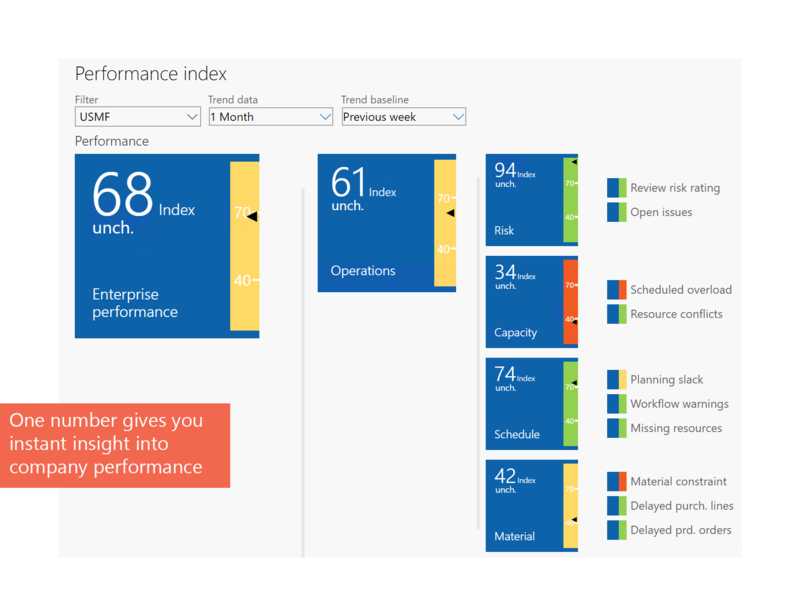 Additionally, BI artifacts highlight important project intelligence relevant to the workspace and counter tiles summarize your current workload ensuring that work items are not missed. Transform with ADEACA PBA™. Take the next step today.